So much to offer with a convenient location. Nestled on the northwest side of town, West Village is a deed-restricted, architecturally controlled neighborhood. As the fifth and final phase of Westwynde, West Village boasts once-in-a-lifetime home sites. Enjoy the serenity of a private back yard, or the spectacular panoramic view of the rolling prairie and majestic bluffs, with all the conveniences of living in town. The natural lay of the land allows for many of these home sites to have full walk out back yards. West Village is conveniently located near schools, parks, and recreational opportunities. With neighboring walking and bike paths and the “Moely Sand Prairie” (a 24-acre managed conservation easement), West Village is truly one of a kind! Contact us to discuss building packages and secure your home lot! The Sauk Prairie area is noted for its top rated health care facilities, scenic riverway, and small town charm. 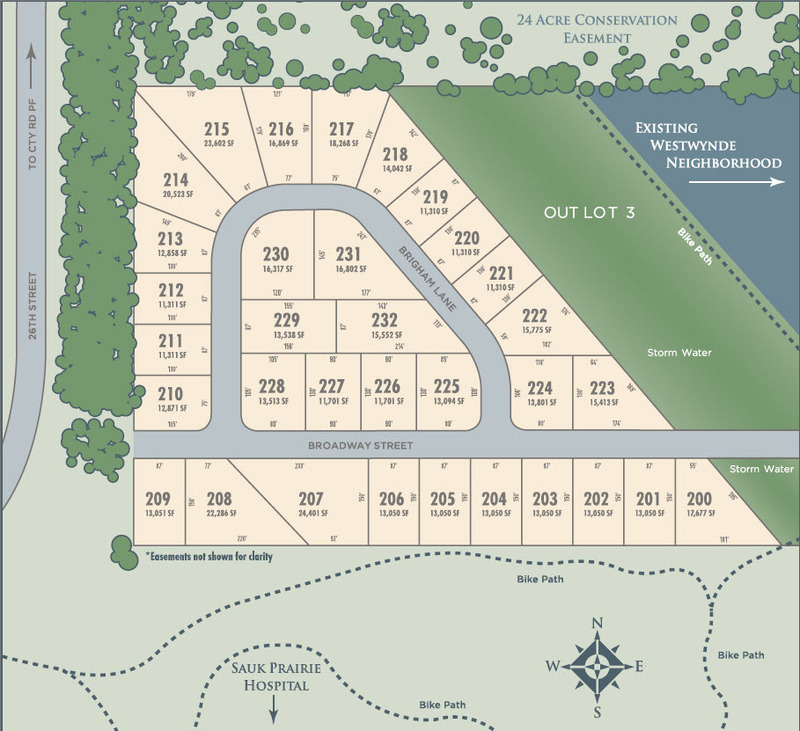 With breathtaking natural amenities and outstanding schools, the Sauk Prairie Community is a great place to live! To view the Deed Restrictions for the West Village neighborhood click the button below. Driving west on Highway 12, east onto Cty Hwy PF, south onto 20th Street. Sauk Prairie is the gateway to Sauk County, located in the heart of some of the most breathtaking countryside in the upper Midwest. Rolling hills, pastoral meadows, dramatic bluffs, the beautiful Wisconsin River, and eagle viewing in winter. Parks, hospitals and shopping all within walking distance. Enjoy the small town charm with large city amenities that Sauk Prairie has to offer.